No one wants seconds of this cult gem. Like so many of Dr. Lecter's victims, it's beginning to look like Hannibal might be dead for good. Following NBC's cancellation of the beloved, if poorly rated, cult series, showrunner Bryan Fuller isn't having much luck enticing other outlets to pick up the Peacock's table scraps. In addition to the recent revelation that Netflix would not be opening its doors to the series, Fuller has now confirmed via Twitter that Amazon Prime, the show's most logical home due to the service already streaming the first two seasons, has also declined to adopt the currently homeless cannibal. Making matters worse is the fact that the show's producing entity, Gaumont International Television, has allowed the options on lead actors Hugh Dancy and Mads Mikkelsen to expire, freeing them to field other film and TV offers. While both actors have professed loyalty to Hannibal, it isn't feasible for them to decline other work with the show's future so murky. As if that weren't enough obstacles for Hannibal's continuance, Fuller also has a showrunner commitment for Starz's American Gods, and wouldn't even be available to resume work on Hannibal until after the first full season of Gods is complete. 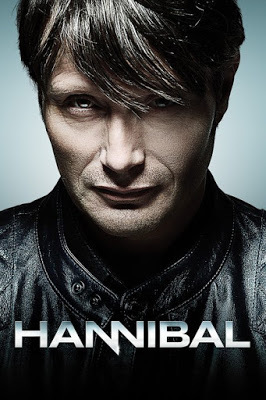 Fuller still claims to hold out a modicum of hope for Hannibal's future (and the series will still have a presence at Comic Con this year), but it's looking increasingly likely that the currently-airing third season will wind up as Hannibal's final meal before execution. Could We See Another #Blade Film?